Dave and Isaac welcome Adam DeCollibus, author of the upcoming novel Caravan. 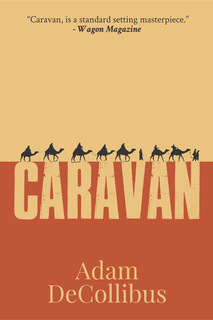 The novel is about a man from Britain who goes to Morocco on a work assignment and he takes a caravan across the Sahara. During his time in the caravan he realizes that they are being followed by an army of mysterious warriors. We loved having Adam on and want you to check out his book when it drops. So be sure and follow him to know when it’s available. Older Post55: Are you afraid to die?